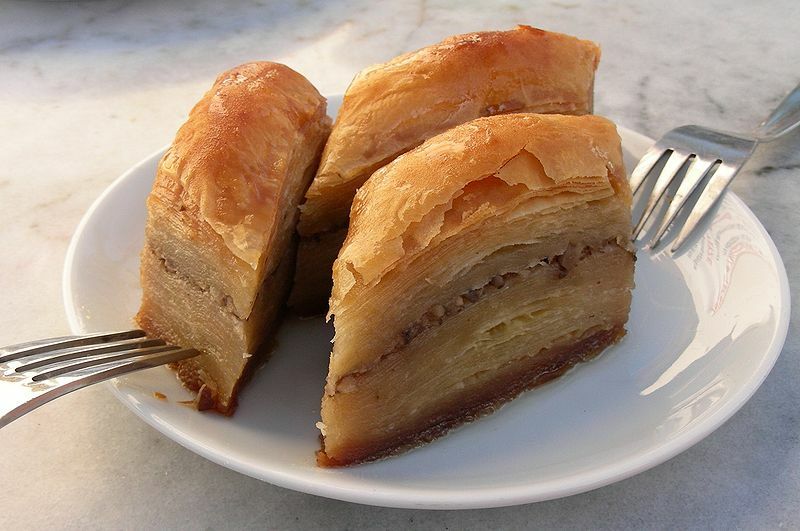 Baklava is a rich, sweet pastry made of layers of phyllo dough filled with chopped nuts and sweetened with syrup or honey. It is characteristic of the cuisines of the former Ottoman Empire, as well as Iran, the Caucasus and much of central and southwest Asia. Left: Baklava is prepared on large trays and cut into a variety of shapes.